It is a scientific fact that people's gestures give away their true intentions. 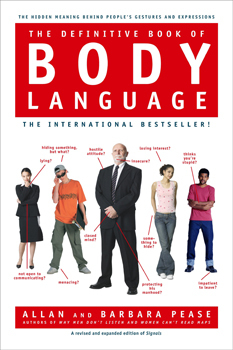 Yet most of us don't know how to read body language and don't realize how our own physical movements speak to others. Now the world's foremost experts on the subject share their techniques for reading body language signals to achieve success in every area of life. Filled with fascinating insights, humorous observations, and simple strategies that you can apply to any situation, this intriguing book will enrich your communication with and understanding of others - as well as yourself.